SENSIBLY SWEET. UNBELIEVABLY GOOD. 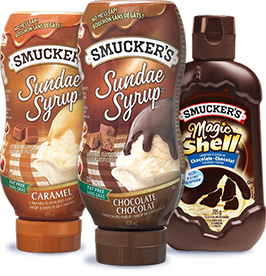 You'll be surprised by how easy it is to enjoy the great taste of Smucker's®, without all the sugar. Our No Sugar Added and reduced sugar products are perfect for any occasion. These products have the delicious fruit taste you love without the added sugar*. So go ahead. 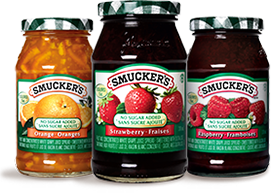 Enjoy the quality and great taste you expect from Smucker’s and feel good about what you eat. Sorry! There are currently no matches for this search. 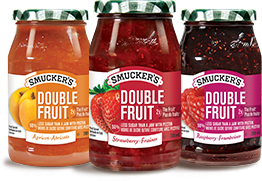 Smucker’s Pairings are the simple way to discover how flavours like orange and ginger mingle together perfectly for delicious results. Each pairing has 5 ingredients or less, and is ready in less than 15 minutes. 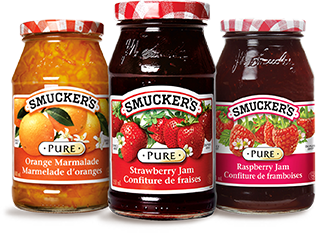 © / TM / ® Smucker Foods of Canada Corp. or its affiliates.